Do you need to move because of a new job? Or maybe you are being transferred to a new office? No matter your reason, our tips will make the process less stressful! In our latest post, we will provide information to help you sell your house for a job transfer in Oakland, CA! Career changes happen. Job transfers happen. Whether you requested it or not, there might be a point in your career when you need to move for work. The idea of picking up and moving can feel stressful and overwhelming, especially if you have a family coming with you. When it’s time to move, you have some options, you can either list it, sell it on your own, or hold on to it. Listing your Oakland,CA house can be expensive. Before your property even hits the market, you will need to make minor repairs, professionally clean the house and tend to the landscaping. Your listing might require additional costs depending on the scope of your agent. For example, you might need to hire a photographer and professional stager on your own dime in order to have a competitive listing. You will also need to factor in the agent’s commission and any other fees they will charge at the time of closing. The time you spend waiting for the closing to occur is costing you as well. Ask any real estate flipper, and they will tell you that the longer you own a house, the more it is costing you. While your house sits on the MLS, you will continue to be responsible for the taxes, insurance, utilities and maintenance costs. If you need to sell within a specific timeframe, you might want to steer clear of getting stuck in a binding listing agreement. Listing works great for some properties and situations. However, for others, it is a complete waste of time and money. After you factor in the costs and the time spent, the amount you receive could actually less than had you sod it directly. Run the numbers for your situation to discover which selling method is right for you! When you sell directly to Giant Housebuyers, there aren’t any costs to worry about. Now remember, not all home buyers are the same. You might encounter fees or closing costs when selling to someone else. At Giant Housebuyers, we make you an offer to sell your house free and clear, without any fees. With a direct sale to Giant Housebuyers, you will be able to sell your house in only a few days as opposed to the months you could be waiting with a traditional sale. By selling your house right away, you will be able to recoup the repair costs while quickly and easily moving on with your life. A direct sale to Giant Housebuyers is quick, painless and stress-free. You will not have to worry about how much you are receiving or when the house will close. You will know both of those things up front, from day one. The final sale price might appear lower than what you are seeing on the MLS, however, after you calculate what you are saving, the difference is often negligible. What Happens If You Don’t Sell? If you have one home in Oakland, CA and another somewhere else, carrying both mortgages can be difficult. It can be difficult to obtain a second mortgage when you already have one on your Oakland house. Coming up with the additional cash while you are waiting for the first home to sell can be very stressful on you and your family. If the house doesn’t sell, you can always opt to rent it out. Be forewarned, it can sometimes be a lot more work than it looks like on paper. Finding the right tenants, dealing with repairs, monthly maintenance and evictions can all be overwhelming, especially if you aren’t local to handle it all. Faced with some of the worst hardships of my life, I felt like my back was against the wall. Divorce was on the way, I just lost my job, and a couple properties I had were defaulted on taxes. I don’t know if its just me, but I never admit that something is wrong until it’s too late. Ben at Giant Housebuyers reached out to me at the worst but best time. If it wasn’t for Ben, I would have lost everything. Him and his team were there to answer any questions I had, kept me in the loop, and gave me money to be able to take care of my kids until I can find a job. Thank you for everything that you guys have done. I can’t thank you enough! Like most property owners, I was skeptical about house buyers and called a few to discuss to see if they can help me. 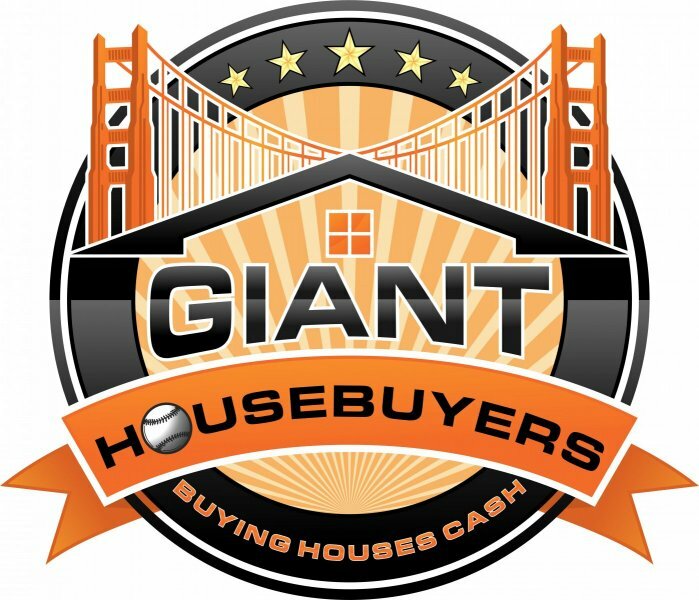 I talked to about 3 investors before I decided to go with Ben at Giant Housebuyers. The reason I decided to work with Ben is because he wanted my best interests. He was the only investor that wanted to actually help me instead of trying to steal my property from me. Needless to say, he did what he said he was going to do and helped my family and I when we needed help. I liked what he told me when we met, “I like to under promise but over deliver.” He did just that. Reach out to Giant Housebuyers! One of the best decisions I’ve ever made. I needed to sell my house fast and contacted Giant Housebuyers. Ben picked up and he drove nearly 50 miles to see me. We had a great conversation and he was very friendly. He wanted to know what I wanted out of it and what my concerns were. He handled everything fast and within weeks we met up at his title company and I received a check. Throughout the whole process he kept me informed and made me feel at ease. Ben was easily reachable by being able to answer any type of questions that I had during the whole process. Anyone looking to sell their house I highly recommend you reach out to Ben! Thank you so much for what you did for my family and I.